PeopleMaps has added a couple of cool features to the Control Room to make it easy to manage large amounts of data. 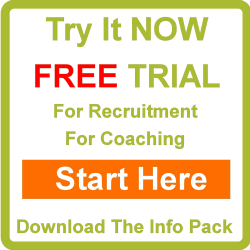 If you are recruiting for instance and you receive a lot of candidates, the vast majority will soon become redundant and will be of no further interest to you. This is where the Archive facility comes into play. everyone starts in the Recent view. You cannot delete any registered users, however, you can archive them and keep your live View Results screen displaying only fresh data. To move a registered user to Archive, simply click the link “Move to Archive“. If you wish to move multiple registered users to the archive, then tick the boxes beside their name and then select “Archived“. Use the search facility to view archived users. Go to Status and select “Archived” from the drop-down and click search. This will then display the Archived user instead of the Recent users. Again you can also do this for multiple users at a time by ticking the box beside their name to select them and then select from the drop-down menu at the bottom of the page “Move Selected Candidates to“. This is also a useful feature when faced with a lot of say job candidates. if you are looking through a long list of job candidates and decide to proceed further with 5 out of the 20 for example, then you can tick the box beside each of the 5 you like and then select “Favourites” from the drop-down menu. To View all your Favourites, you can click on the link “View Favourites” or use the drop-down menu for Status in the Search facility. You may also archive Favourites.